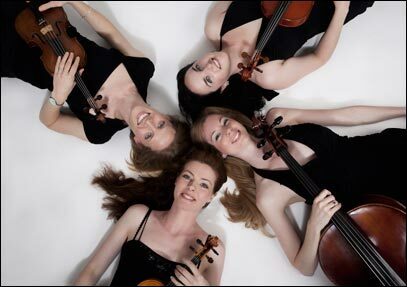 The Barber String Quartet can provide live music to accompany a range of events, such as: corporate functions; product launches; weddings; birthday celebrations; wedding anniversaries; Christmas, leaving, or retirement parties; and memorial services. Whatever the occasion the Barber String Quartet can add another dimension to your function, providing an ideal backdrop for your clients and guests, leaving you free to mingle and enjoy yourself. You can rely on us to carefully select the music to complement the atmosphere and add a stylish ambience. I thought that I should write and thank you and all the players who performed so magnificently at our dinner. The Barber String Quartet added a touch of class to our evening; you provided the ambience that allowed us to entertain our guests in style and as such there have been many laudatory compliments as a result of your performance. It was a testament to your professionalism that you were able to set up so quickly despite the time restraints, and the music you chose was ideal. We will certainly be booking you again and I shall have no hesitation in recommending you to my colleagues.